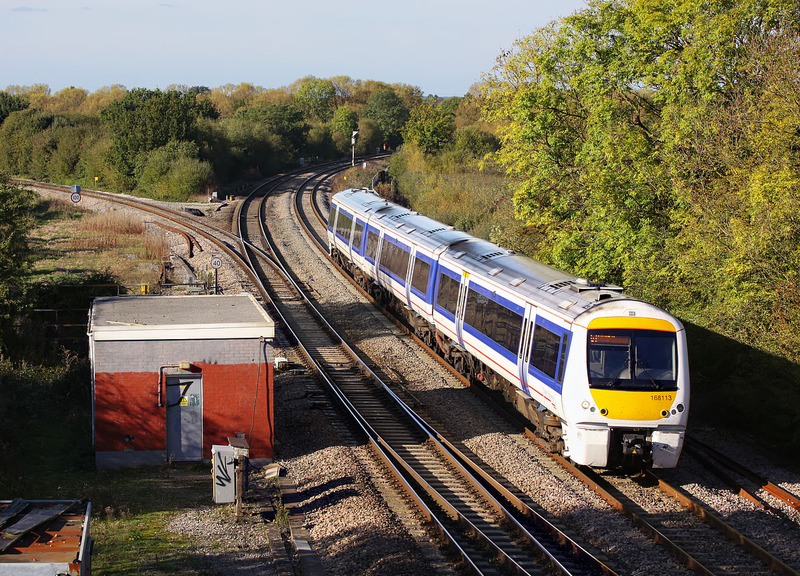 With the Chiltern Line closed for engineering work on Sunday 17 October 2010, Chiltern Railways were operating a shuttle service to connect with First Great Western trains at Oxford. This brought the unusual sight of Class 168 units to the Cherwell Valley route. 168113 passes Wolvercote Junction with the 1V46 14:08 Stratford-upon-Avon to Oxford service. The single track line diverging to the left is the 'Cotswold Line' route to Worcester and Hereford.